I'm interested! I want to learn more about this collection! 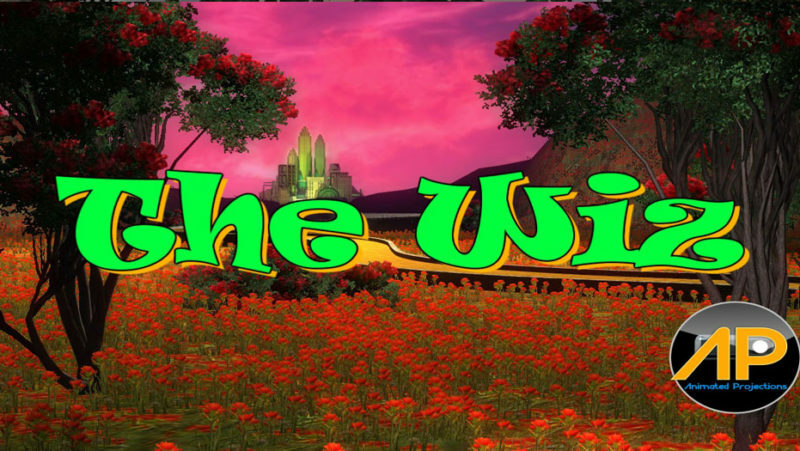 The soulful re-telling of “The Wizard of OZ” is brought to life with our collection for “The Wiz”. 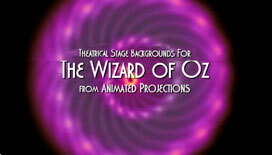 And you can round-out your projection needs by easing over to “The Wizard of OZ” collection. 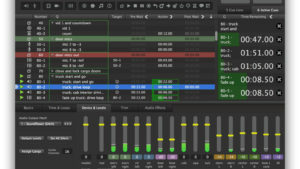 The two collections, like all collections, can be easily Mixed & Matched. I'm interested! I want to see more from this collection! 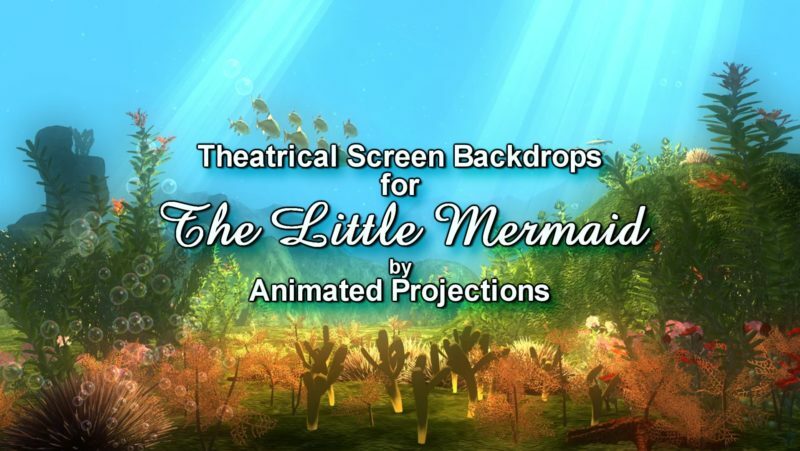 The beloved fairy tale based on the Hans Christian Andersen story and updated by Disney, comes to life with Animated Projection’s beautiful collection for The Little Mermaid. J. M. Barrie’s classic tale of a boy who refuses to grow up. 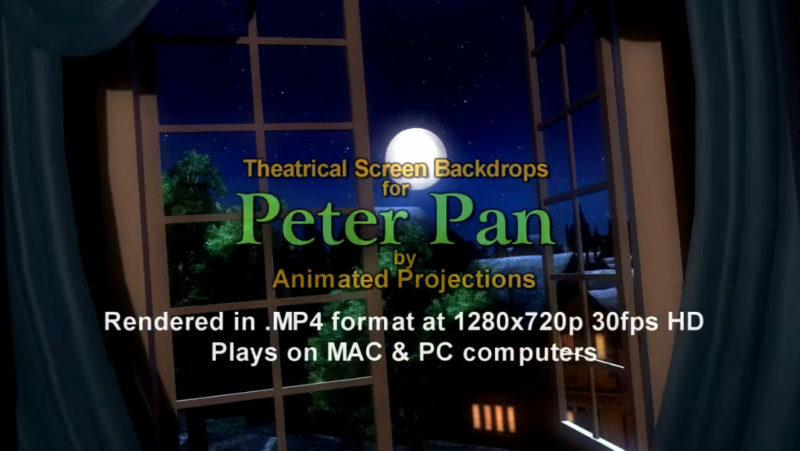 Animated Projections will transport your audience to the magical “Neverland” where fairies, pirates and even mermaids are around every corner. 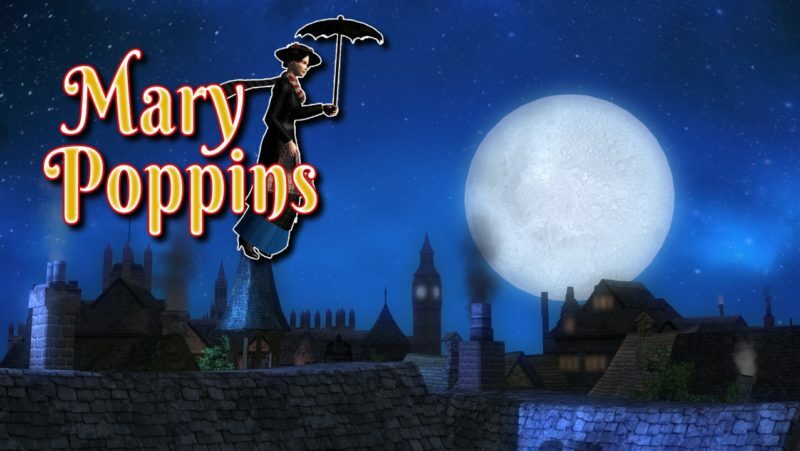 The beloved children’s classic from writer P.L Travers tells the story of the Bank’s children and their very unusual nanny..Mary Poppins! 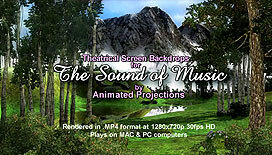 After numerous requests Animated Projections is proud to release this beautiful collection that captures the amazing world at London’s 17 Cherry Tree Lane. 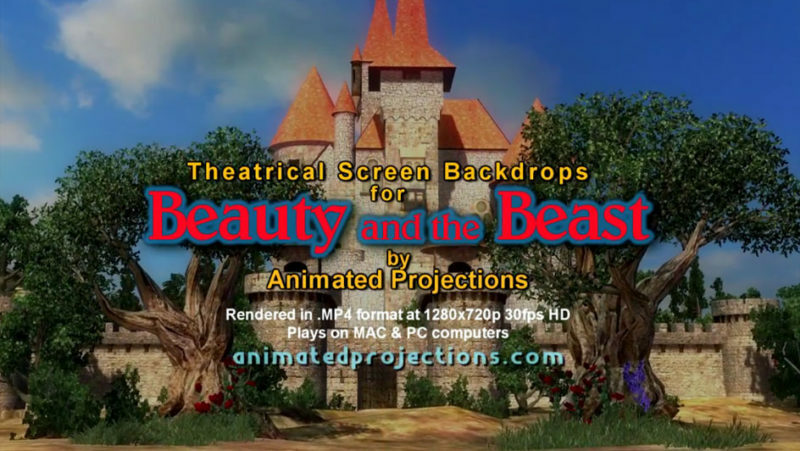 The classic tale from author Gabriell-Suzanne Bardot de Villeneuve’s is rendered in loving detail in with our collection of animated projections. 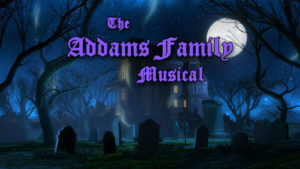 It’s all here and your audience will be captivated by a tale as old as time. 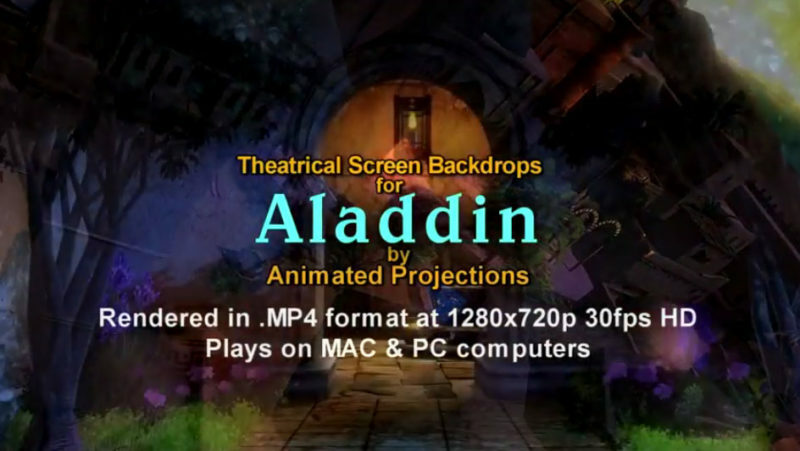 It’s a whole new world as you follow the exploits of that rascal Aladdin. 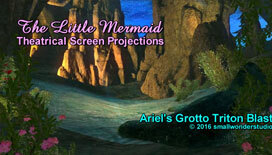 With our animated projections you’ll be transported to another world where genie’s can grant your every wish. 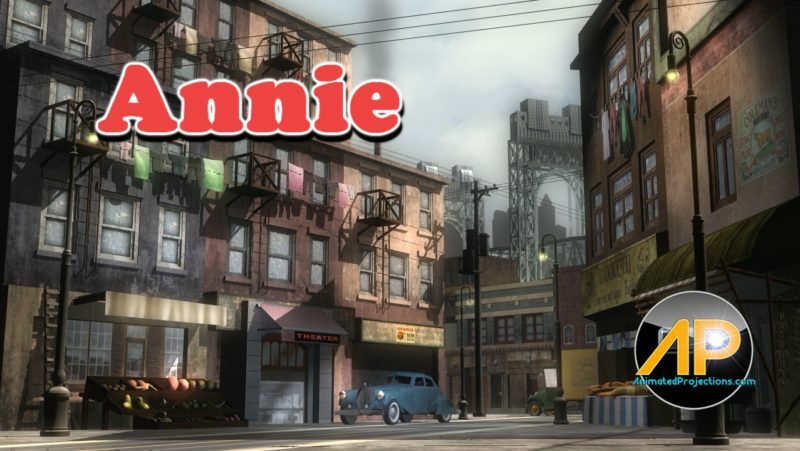 Based on the Harold Gray comic strip “Little Orphan Annie” the musical “Annie” is a Broadway classic and now it can be yours. 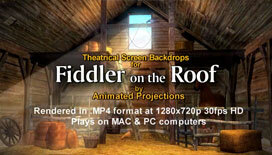 Our collection of animated projections will bring to life all the great scenes that have this musical an audience favorite. 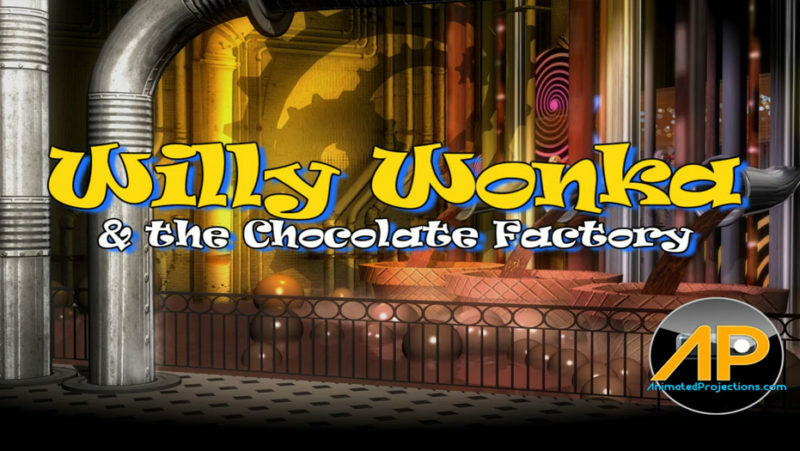 You won’t need a “Golden Ticket” to enter a world of “pure imagination”. 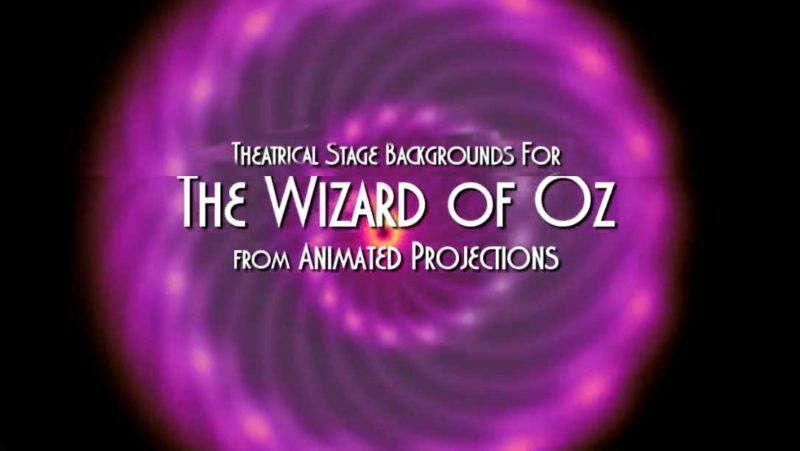 Your audience can now experience Roald Dahl’s classic children’s tale come to life, with our whimsical and affordable video projections. 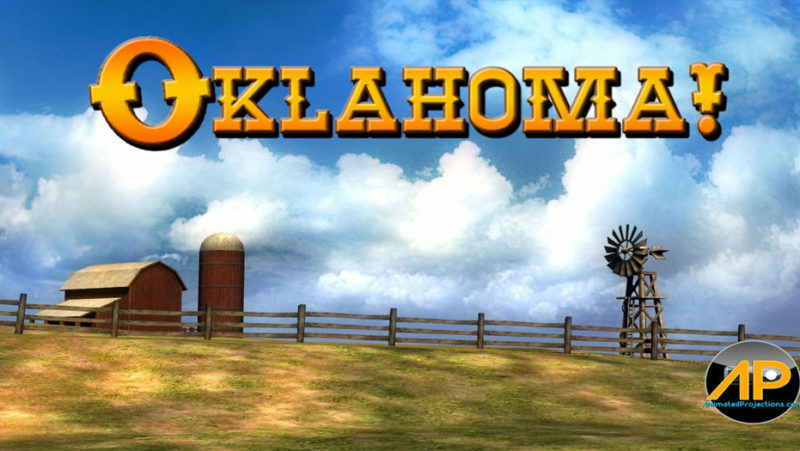 The first musical written by Rodgers and Hammerstein was a classic from the start and it remains the great American musical. 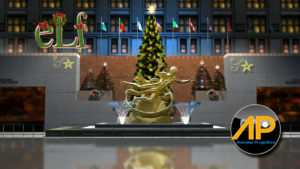 Watch it come to life with our beautiful Animated Projections.